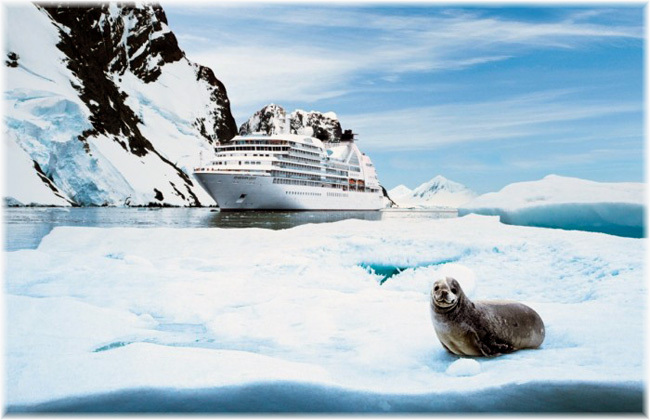 Seabourn is continuing its mission to inspire and inform guests by announcing the addition of acclaimed Antarctic explorer Colin O’Brady for its Seabourn Conversations program for its first Antarctic sailing of the 2019-2020 season. The sailing, a 21-Day Ultimate Antarctica & Patagonia itinerary, departs November 28, 2019 from San Antonio (Santiago), Chile. O’Brady is an American professional endurance athlete who has achieved four World Records in his career. He grew up exploring the mountains of the Pacific Northwest and cultivated a passion for adventure in the outdoors. In 2016 Colin conquered the speed records for the Explorers Grand Slam and Seven Summits, a global mountaineering challenge to climb the tallest mountain on every continent including Mt. Everest and ski to the North and South Poles. In 2018 he shattered the speed record for the 50 U.S. High Points when he summited the highest point in each of the 50 states in just 21 days.